This is just a quick update of where I am in the project since I wasn’t able to put my building into the map for the group critique. In the first half of the project the buildings parts I had created where longer then Matt’s station arches which was a problem because I had to delete some pieces and stretch others, I’ve fixed this by putting the correct amount of arches in my max file and rebuilding some of the building parts to fit that scale. 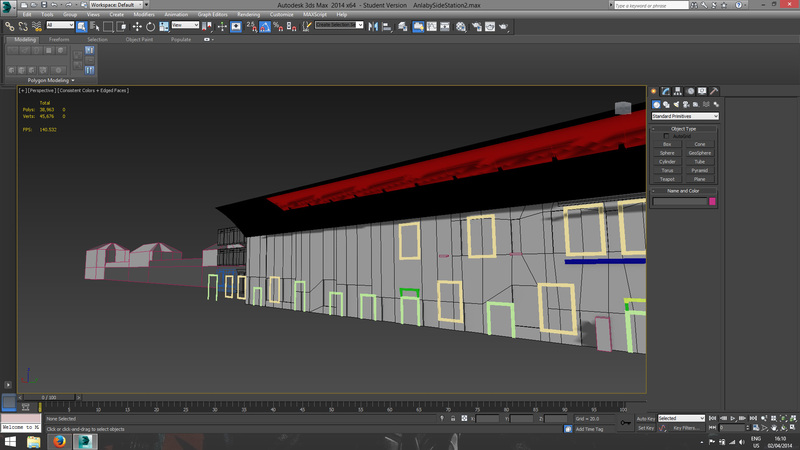 The floating door frame at the end shows where the end of my old pieces ended, I’ve decided to change a lot of the inside wall as I was not happy with it, it only needs to be textured again though. 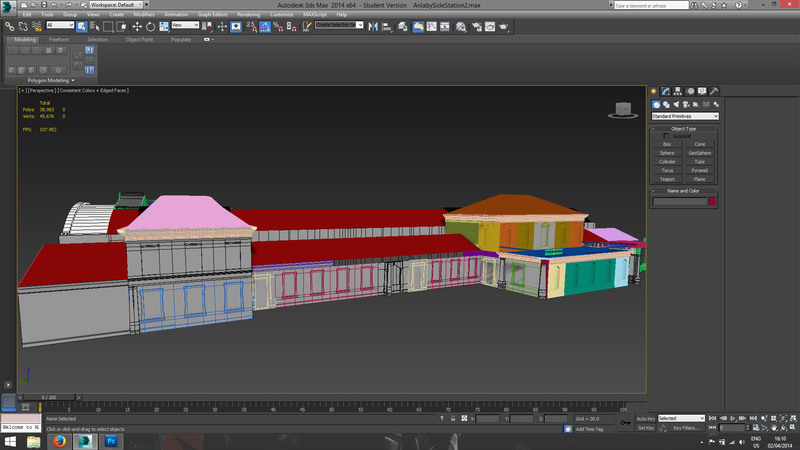 The building as a whole is more or less fully modeled but there will most likely be some changes whilst I’m texturing it. 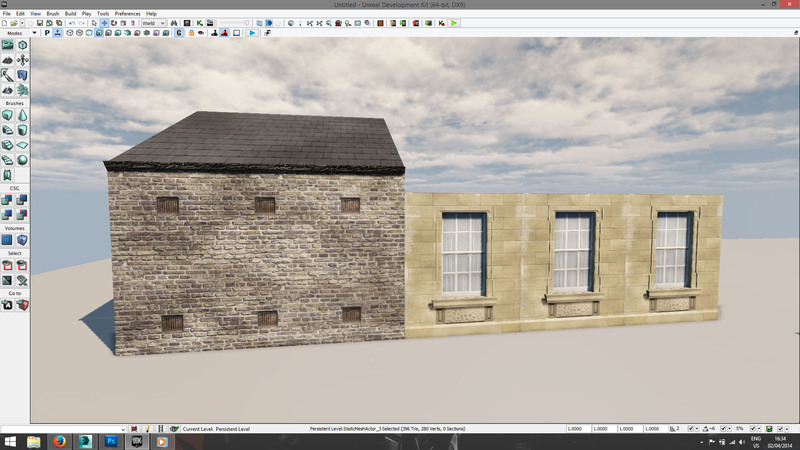 I’ve started texturing the outside now (at last), It will hopefully be finished fully finished by the 15th if there aren’t any major problems. ← Self Initiated Project – Asset List.